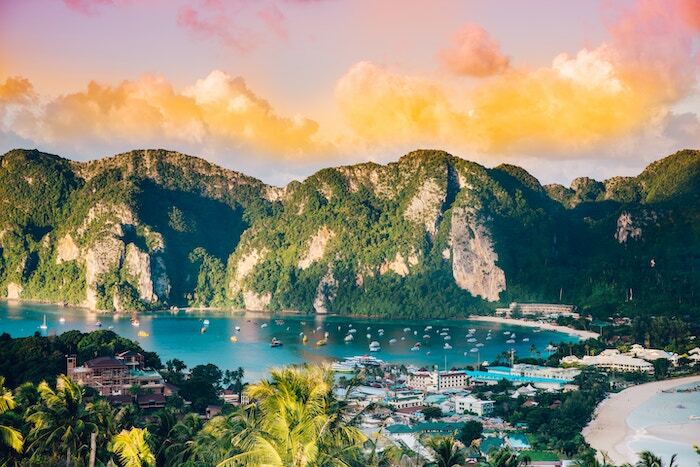 Thailand, formerly known as Siam, is a country in Southeast Asia best known for its tropical beaches, ancient ruins, ornate temples, and opulent royal places. Apart from all that, Thailand is also known for some of the greatest sailing destinations that you shouldn’t miss out on! When it comes to sailing in Thailand, there are two best spots; the Andaman Sea in the west or the Gulf of Thailand to the east and south. 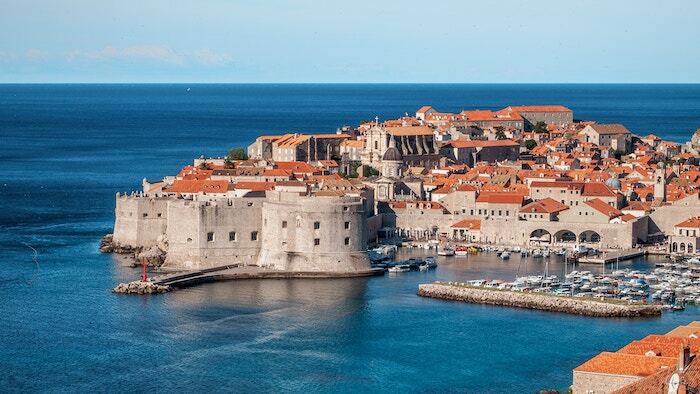 Let’s look at some of the best sailing spots the country has to offer along with things you must see! Most sailors hit Phuket for chartering yachts because of the large number of boats available. 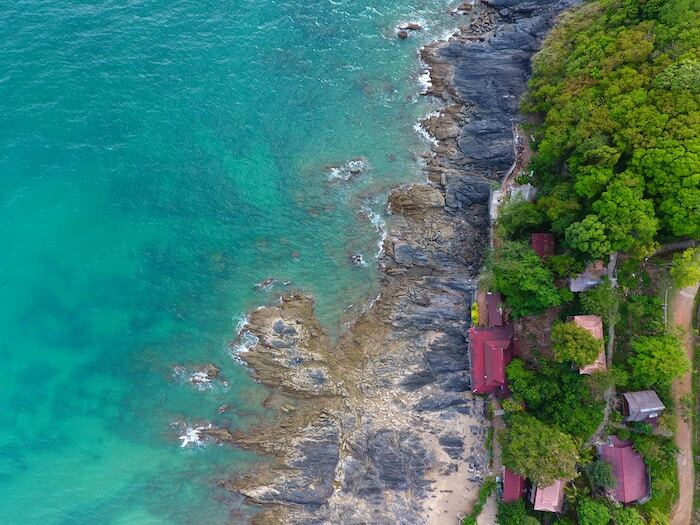 In addition, the stunning scenery that Phuket has to offer is unmatched. It is an island province which is connected to the mainland via the Sarasin Bridge in the north. 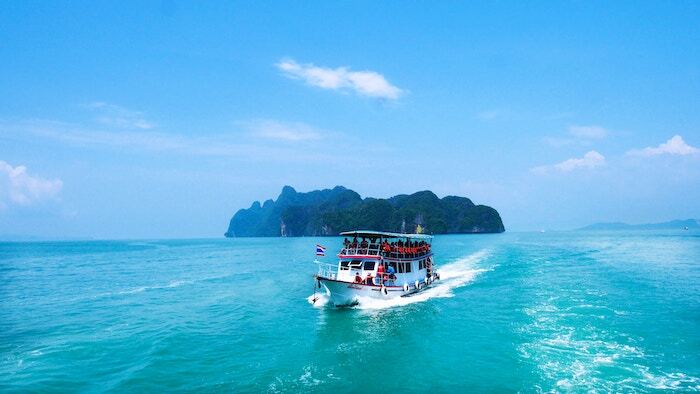 While Phuket is the main island, there are 32 other islands as well that you can explore on your boat. After your long day of sailing, make sure you visit Bangla Road, situated only 5 minutes away from the crystal clear waters and stay at one of the unique hostels in the area. Phang Nga Bay is primarily characterized by mesmerizing, emerald green waters featuring limestone karsts jutting out the water. This bay comprises of two famous islands that you should definitely visit; James Bond Island and Koh Panyee. However, the majority of tourist boat trips descend on nearby beaches at the same time, making the island very crowded. Meanwhile, Koh Panyee is a remarkable village that’s completely built on poles in shallow waters. For shelter, there’s a giant rock monolith behind the poles. The place is home to roughly 1500 people that provide fresh local fish to restaurants and beautiful crafts for the tourists. 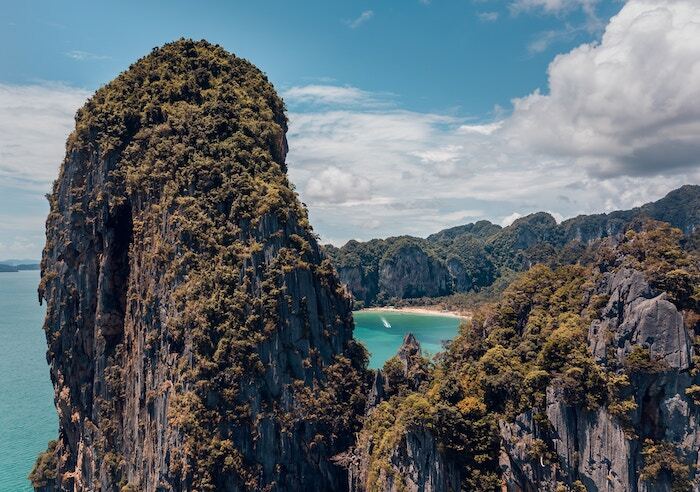 Moving south-east down the coast from Phang Nga Bay to the Thai mainland, you will come across the province Krabi, which has a town with the same name. When compared to the tourist center of Phuket, Krabi seems to have a more relaxed environment with a smaller crowd. 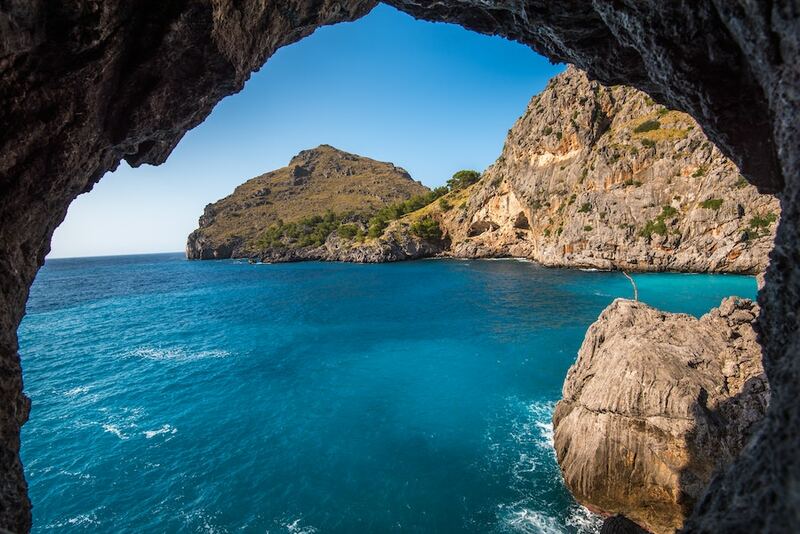 Here, you can enjoy an incredible sea along with stunning mountain scenery along with beautiful beaches and colorful, coral-fringed islands. 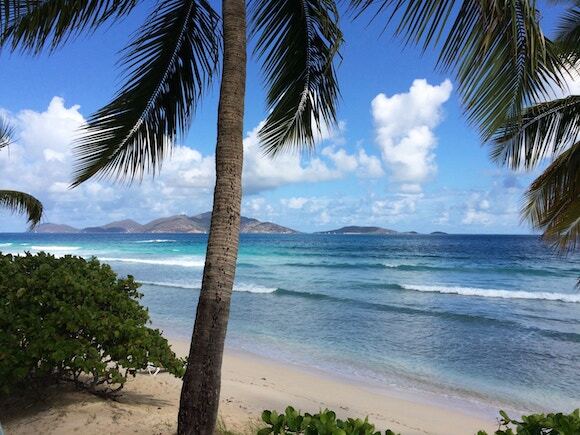 You can also opt for diving and snorkeling here and explore the magical world present beneath the surface. Two of the must-visit beaches here are Hat Rai Le and Ao Nang, which have shops and restaurants. So, while sailing, you can take a stop here and restock yourselves. Koh Lanta is essentially an archipelago with approximately 70 islands with most of them housing white sandy beaches. If you love snorkeling or scuba diving, then you must visit Koh Rok and take in the beauty of its stunning colored coral reef. In addition, there are two dive sites which are termed as highly-rated underwater pinnacles; Hin Muang and Hin Daeng. If you’re obsessed with Leonardo DiCaprio’s movie “The Beach” and want to see how it feels to stand where he stood and look at the scenery he got to saw while shooting the movie; then Phi Phi Island is the place to go. Phi Phi has an island called Ko Phi Phi Le which features the beach in the movie; Maya Beach. One of the most famous island locations of the country is Koh Surin National Marine Park where you have a close up of whale sharks and manta rays and swim among sea turtles. Surin Islands are located in the Andaman Sea which is just off Thailand’s west coast.